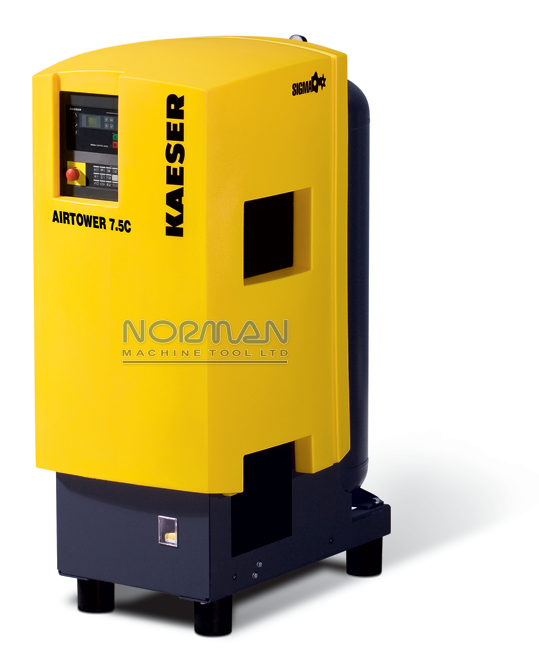 The Airtower™ 7.5C combines the reliability, energy efficiency and easy-to-service design of Kaeser industrial rotary screw compressors with a storage tank and dryer, making it a complete air system. Overall Weight: approx. 661 lbs.